Antibiotic resistance is a serious problem facing humanity. Bacterial infections, once treatable with a simple dose of antibiotics, now sicken and even kill patients. And today’s physicians are left with little recourse. Often times, there is nothing they can do. In response, governments have ratcheted up funding for methods of battling antibiotic resistance, including new drugs and research into the microbiome. Shortly after the September meeting, the Centers for Disease Control and Prevention in the United States announced that it had awarded more than $14 million to fund new approaches to combat antibiotic resistance. 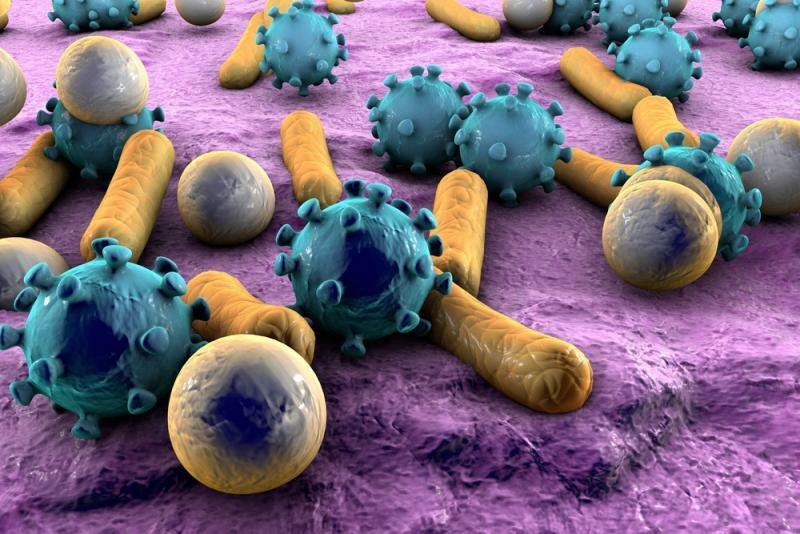 Researchers have begun to consider synthetic biology as a new way to combat harmful bacteria. By creating their own microbes, researchers could provide targeted solutions to deadly bacteria, which traditional antibiotics increasingly cannot deliver. French startup Eligo Bioscience is creating genetically engineered “biological nanobots” to combat antibiotic resistance. The nanobots are made of synthesized DNA and protein that allow them to specifically target resistant bacteria. Even though antibiotics are usually deployed because a particular type of bacteria is causing problems, most wipe out all bacteria — even the good kinds that make up a person’s microbiome (the community of microbes living in and on a person’s body). Without good bacteria to keep the bad bacteria in check, patients become vulnerable to a number of health issues, such as intestinal infections caused by Clostridium difficile or ulcers from an excess of Helicobacter pylori bacteria. Eligo’s approach gets rid of only the disease-causing bacteria, targeting their DNA with sniper-like precision, Xavier Duportet, Eligo’s CEO, told Futurism. A patient would ingest the nanobots. The nanobots would be inactive until they made their way to the gut, where they would use the CRISPR gene editing enzyme to scan bacterial DNA and identify their target. Once the nanobots found disease-causing bacteria, they would destroy them by cutting out sections of genetic code, leaving the nasty bacteria beyond repair but all other good bacteria still intact. The nanobots then become a healthy part of the microbiome, staving off future attacks from their targeted bacteria. Eligo’s drugs, on the other hand, could be a first line of defense, perhaps even deployed before a patient knows a defense is needed. “It could be used as a prophylactic drug to really remove all the antibiotic-resistant bacteria from someone even before patients get sick from them,” Duportet said. There would also be plenty of uses for it in other sectors, like in hospitals. Surgeons are sometimes wary of operating on patients that carry antibiotic-resistant bacteria in their microbiota — the microbes might not be making a patient sick, but they could cause infection after a surgery. Eligo’s synthetic bacteria would be able to decolonize patients of these bacteria, reducing the threat of infection. Timothy Lu, a professor of biological engineering at the Massachusetts Insititute of Technology, is impressed with Eligo’s work so far. Both in the lab and in living organisms, Eligo’s core technology has shown to kill bacteria as promised, he told Futurism. Yet Lu recognizes that Eligo will face challenges in bringing its technology to the clinic. The biggest challenge, he said, is to “optimize delivery of the therapeutic payloads in humans.” That is, how can Eligo make sure its nanobots actually make it to the gut to do their job? The company hasn’t yet solved that problem. To do so, it’s going to take another few years of research. In September, the company secured $20 million in funding to fuel its research. Researchers are excited to move forward, Duportet said. “We’re confident because we have really good data from animals,” Duportet said. If more animal tests go well, the next step will be to try the system in humans, which the company hopes to do by 2020. The road to regulatory approval will likely be a long one, however; Duportet couldn’t offer a prediction for when Eligo’s nanobots could become widely available. It may be a long time before we can see Eligo’s therapies in local hospitals. Yet the promise of synthetic biology overall provides hope in the face of antibiotic resistance.